Cecilia Helena Payne-Gaposchkin (néePayne; (1900-05-10)May 10, 1900 – (1979-12-07)December 7, 1979) was a British-born American astronomer and astrophysicist who proposed in her 1925 doctoral thesis that stars were composed primarily of hydrogen and helium. Her groundbreaking conclusion was initially rejected because it contradicted the scientific wisdom of the time, which held that there were no significant elemental differences between the Sun and Earth. Independent observations eventually proved she was correct. Cecilia Helena Payne was one of three children born in Wendover, England,  to Emma Leonora Helena (née Pertz) and Edward John Payne, a London barrister, historian and accomplished musician. Her mother came from a Prussian family and had two distinguished uncles, historian Georg Heinrich Pertz and the Swedenborgian writer James John Garth Wilkinson. Cecilia Payne's father died when she was four years old, forcing her mother to raise the family on her own. Wendover is a market town and civil parish at the foot of the Chiltern Hills in Buckinghamshire, England. It is situated at the point where the main road across the Chilterns between London and Aylesbury intersects with the once important road along the foot of the Chilterns. The town is some 35 miles (56 km) north west of London and 5 miles (8 km) south east of Aylesbury, and is very popular with commuters working in London. Edward John Payne was an English barrister and historian specializing in colonial history. St Paul's Girls' School is an independent day school for girls, located in Brook Green, Hammersmith, in West London, England. Botany, also called plant science(s), plant biology or phytology, is the science of plant life and a branch of biology. A botanist, plant scientist or phytologist is a scientist who specialises in this field. The term "botany" comes from the Ancient Greek word βοτάνη (botanē) meaning "pasture", "grass", or "fodder"; βοτάνη is in turn derived from βόσκειν (boskein), "to feed" or "to graze". Traditionally, botany has also included the study of fungi and algae by mycologists and phycologists respectively, with the study of these three groups of organisms remaining within the sphere of interest of the International Botanical Congress. Nowadays, botanists study approximately 410,000 species of land plants of which some 391,000 species are vascular plants, and approximately 20,000 are bryophytes. Payne realized that her only career option in the U.K. was to become a teacher, so she looked for grants that would enable her to move to the United States. After being introduced to Harlow Shapley, the Director of the Harvard College Observatory, where he had just established a graduate program in astronomy, she left England in 1923. This was made possible by a fellowship to encourage women to study at the observatory. Adelaide Ames had become the first student on the fellowship in 1922; the second was Payne. Harlow Shapley was a 20th-century American scientist, head of the Harvard College Observatory (1921–1952), and political activist during the latter New Deal and Fair Deal. The Harvard College Observatory (HCO) is an institution managing a complex of buildings and multiple instruments used for astronomical research by the Harvard University Department of Astronomy. It is located in Cambridge, Massachusetts, USA, and was founded in 1839. With the Smithsonian Astrophysical Observatory, it forms part of the Harvard–Smithsonian Center for Astrophysics. Adelaide Ames was an American astronomer and research assistant at Harvard University. She contributed to the study of galaxies with her co-authorship of A Survey of the External Galaxies Brighter Than the Thirteenth Magnitude, which was later known as the Shapley-Ames catalog. Ames was a member of the American Astronomical Society. She was a contemporary of Cecilia Payne-Gaposchkin and her closest friend at the observatory. Radcliffe College was a women's liberal arts college in Cambridge, Massachusetts, and functioned as the female coordinate institution for the all-male Harvard College. It was also one of the Seven Sisters colleges, among which it shared with Bryn Mawr College, Wellesley College, Smith College, and others the popular reputation of having a particularly intellectual, literary, and independent-minded female student body. Radcliffe conferred Radcliffe College diplomas to undergraduates and graduate students for the first 70 or so years of its history and then joint Harvard-Radcliffe diplomas to undergraduates beginning in 1963. 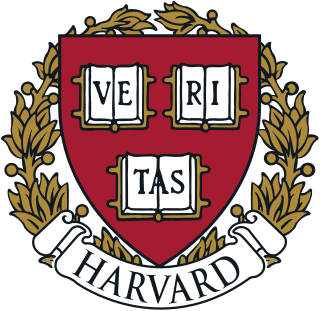 A formal "non-merger merger" agreement with Harvard was signed in 1977, with full integration with Harvard completed in 1999. Today, within Harvard University, Radcliffe's former administrative campus is home to the Radcliffe Institute for Advanced Study, and former Radcliffe housing at the Radcliffe Quadrangle has been incorporated into the Harvard College house system. Under the terms of the 1999 consolidation, the Radcliffe Yard and the Radcliffe Quadrangle retain the "Radcliffe" designation in perpetuity. In astronomy, stellar classification is the classification of stars based on their spectral characteristics. Electromagnetic radiation from the star is analyzed by splitting it with a prism or diffraction grating into a spectrum exhibiting the rainbow of colors interspersed with spectral lines. Each line indicates a particular chemical element or molecule, with the line strength indicating the abundance of that element. The strengths of the different spectral lines vary mainly due to the temperature of the photosphere, although in some cases there are true abundance differences. 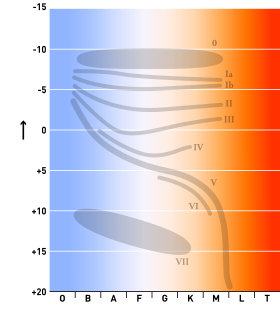 The spectral class of a star is a short code primarily summarizing the ionization state, giving an objective measure of the photosphere's temperature. Prof Henry Norris Russell ForMemRS HFRSE FRAS was an American astronomer who, along with Ejnar Hertzsprung, developed the Hertzsprung–Russell diagram (1910). In 1923, working with Frederick Saunders, he developed Russell–Saunders coupling, which is also known as LS coupling. Williamina Paton Stevens Fleming was a Scottish astronomer. During her career, she helped develop a common designation system for stars and cataloged thousands of stars and other astronomical phenomena. Among several career achievements that advanced astronomy, Fleming is noted for her discovery of the Horsehead Nebula in 1888. Annie Jump Cannon was an American astronomer whose cataloging work was instrumental in the development of contemporary stellar classification. With Edward C. Pickering, she is credited with the creation of the Harvard Classification Scheme, which was the first serious attempt to organize and classify stars based on their temperatures and spectral types. She was nearly deaf throughout her career. She was a suffragist and a member of the National Women's Party. Helen Battles Sawyer Hogg, CC was an astronomer noted for pioneering research into globular clusters and variable stars. She was the first female president of several astronomical organizations and a notable woman of science in a time when many universities would not award scientific degrees to women. Her scientific advocacy and journalism included astronomy columns in the Toronto Star and the Journal of the Royal Astronomical Society of Canada. She was considered a "great scientist and a gracious person" over a career of sixty years. Henrietta Swan Leavitt was an American astronomer. 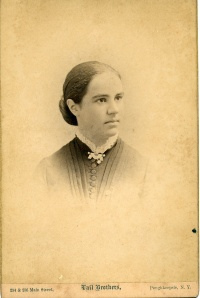 A graduate of Radcliffe College, she worked at the Harvard College Observatory as a "computer", tasked with examining photographic plates in order to measure and catalog the brightness of stars. This work led her to discover the relation between the luminosity and the period of Cepheid variables. Though she received little recognition in her lifetime, Leavitt's discovery provided astronomers with the first "standard candle" with which to measure the distance to faraway galaxies. After her death, Edwin Hubble used Leavitt's luminosity–period relation, together with the galactic spectral shifts first measured by Vesto Slipher at Lowell Observatory, in order to establish that the universe is expanding. Boyden Observatory is an astronomical research observatory and science education centre located in Maselspoort, 20 kilometres (12 mi) north-east of the city of Bloemfontein in Free State, South Africa. The observatory is managed by the Physics Department of the University of the Free State (UFS). The Friends of Boyden assist the observatory as a public support group, organising open evenings and protecting its public interest. Boyden also makes use of members of ASSA Bloemfontein Centre, the amateur astronomy club of the city, for presenters and telescope assistants. Ellen Dorrit Hoffleit was an American senior research astronomer at Yale University. She is most widely known for her work in variable stars, astrometry, spectroscopy, meteors, and the Bright Star Catalog, as well as her mentorship of many young women and generations of astronomers. Antonia Maury was an American astronomer who published an important early catalog of stellar spectra. Maury was part of the Harvard Computers, a group of female astronomers and Human Computers at the Harvard College Observatory. Winner of the Annie Jump Cannon Award in Astronomy in 1943. Frank Scott Hogg was born to Dr. James Scott Hogg and Ida Barberon in Preston, Ontario. Henrietta Hill Swope was an American astronomer who studied variable stars. In particular, she measured the period-luminosity relation for Cepheid stars, which are bright variable stars whose periods of variability relate directly to their intrinsic luminosities. Their measured periods can therefore be related to their distances and used to measure the size of the Milky Way and distances to other galaxies. Beta Cephei variables, also known as Beta Canis Majoris stars, are variable stars that exhibit small rapid variations in their brightness due to pulsations of the stars' surfaces, thought due to the unusual properties of iron at temperatures of 200,000 K in their interiors. These stars are usually hot blue-white stars of spectral class B and should not be confused with Cepheid variables, which are named after Delta Cephei and are luminous supergiant stars. Dorothea Klumpke Roberts was an astronomer. She was Director of the Bureau of Measurements at the Paris Observatory and was made a Chevalier de la Légion d'Honneur. Priscilla Fairfield Bok was an American astronomer and the wife of Dutch-born astronomer Bart Bok, Director of Mount Stromlo Observatory in Australia and later of Steward Observatory in Arizona, US. Their harmonious marriage accompanied the four decades of their close scientific collaboration, in which "it is difficult and pointless to separate his achievements from hers". They co-authored a number of academic papers on star clusters, stellar magnitudes, and the structure of the Milky Way galaxy. The Boks displayed great mutual enthusiasm for explaining astronomy to the public: described as "salesmen of the Milky Way" by The Boston Globe, their general interest book The Milky Way went through five editions and was said to be "one of the most successful astronomical texts ever written". The Harvard Observatory, under the direction of Edward Charles Pickering and, following his death in 1919, Annie Jump Cannon had a number of women working as skilled workers to process astronomical data. "The women were challenged to make sense of these patterns by devising a scheme for sorting the stars into categories. Annie Jump Cannon’s success at this activity made her famous in her own lifetime, and she produced a stellar classification system that is still in use today. Antonia Maury discerned in the spectra a way to assess the relative sizes of stars, and Henrietta Leavitt showed how the cyclic changes of certain variable stars could serve as distance markers in space." Among these women were Williamina Fleming, Annie Jump Cannon, Henrietta Swan Leavitt, Florence Cushman and Antonia Maury. Although these women started primarily as calculators, they often rose to contribute to the astronomical field, and even publish in their own names. This staff came to be known as the Harvard Computers. 2039 Payne-Gaposchkin, provisional designation 1974 CA, is a carbonaceous Themistian asteroid from the outer regions of the asteroid belt, approximately 14 kilometers in diameter. The asteroid was discovered on 14 February 1974, by astronomers at the Agassiz Station of the Harvard College Observatory in Massachusetts, United States. It was named for British–American astronomer Cecilia Payne-Gaposchkin. Mary Brück was an Irish astronomer, astrophysicist and historian of science, whose career was spent at Dunsink Observatory in Dublin and the Royal Observatory Edinburgh in Scotland. 1 2 3 4 Turner, J. (March 16, 2001). "Cecilia Helena Payne-Gaposchkin". Contributions of 20th Century Women to Physics. Archived from the original on October 12, 2012. Retrieved October 10, 2012. ↑ Gingerich, O. (1982). "Cecilia Payne-Gaposchkin". Quarterly Journal of the Royal Astronomical Society. 23: 450. Bibcode:1982QJRAS..23..450G . Retrieved August 28, 2018– via Harvard-Smithsonian Center for Astrophysics. ↑ Payne, H.; Mackworth-Young, G. (1981). La scultura arcaica in marmo dell'Acropoli. La storiografia della scultura greca del VI sec. A. C. Edited by Arias, P.E. L'Erma Di Bretschneider. p. 79. ISBN 978-88-7062-500-4. Payne, Humfrey Gilbert Garth... figlio unico dello storico Edward John Payne e di sua moglie Emma Leonora Helena Pertz, nipote di Georg Heinrich Pertz, il curatore dei "Monumenta Germaniae Historica", e di James John Garth Wilkinson, il discepolo di Swedenborg. 1 2 3 4 Wayman, Patrick A. (February 1, 2002). "Cecilia Payne-Gaposchkin: astronomer extraordinaire". Astronomy & Geophysics. 43 (1): 1.27–1.29. Bibcode:2002A&G....43a..27W. doi:10.1046/j.1468-4004.2002.43127.x. ISSN 1366-8781. 1 2 3 4 5 Payne-Gaposchkin, C. (1984). "The dyer's hand: an autobiography". In Haramundanis, Katherine. Cecilia Payne-Gaposchkin: an autobiography and other recollections (2 ed.). Cambridge University Press. pp. 69–238. ↑ Tullberg, Rita McWilliams (September 24, 1998). Women at Cambridge. Cambridge University Press. p. 183. ISBN 9780521644648. 1 2 Payne, C. H. (1925). Stellar Atmospheres; a Contribution to the Observational Study of High Temperature in the Reversing Layers of Stars (PhD Thesis). Radcliffe College. Bibcode:1925PhDT.........1P. 1 2 Gregersen, Erik. "Cecilia Payne-Gaposchkin". Encyclopædia Britannica. 1 2 Chown, Marcus (2009). We Need to Talk About Kelvin. faber and faber. pp. 99–100. ↑ Russell, Henry (May 29, 1914). "The Solar Spectrum and the Earth's Crust". Science . 39 (1013): 791–794. Bibcode:1914Sci....39..791R. doi:10.1126/science.39.1013.791. JSTOR 1638885. PMID 17812658. ↑ "January 1, 1925: Cecilia Payne-Gaposchkin and the Day the Universe Changed". American Physical Society. January 2015. ↑ Russell, Henry (July 1929). "On the Composition of the Sun's Atmosphere". Astrophysical Journal . 70: 11. Bibcode:1929ApJ....70...11R. doi:10.1086/143197. ↑ Padman, R. (2004). "Cecilia Payne-Gaposchkin (1900–1979)". Newnham College Biographies. Newnham College . Retrieved March 5, 2010. ↑ "A friend to the stars: Cecilia Payne-Gaposchkin". epigenesys.eu. Retrieved September 22, 2014. ↑ Wayne, Tiffany K. (2011). American Women of Science Since 1900. 1. ABC-CLIO. p. 749. ISBN 9781598841589. ↑ "Members of the American Academy of Arts & Sciences: 1780–2012; Payne-Gaposchkin, Cecilia Helena" (PDF). American Academy of Arts and Sciences. p. 416. Retrieved July 29, 2014. ↑ Hockey, T. (2007). Biographical Encyclopedia of Astronomers. Springer. pp. 876–878. ISBN 978-0-387-30400-7. 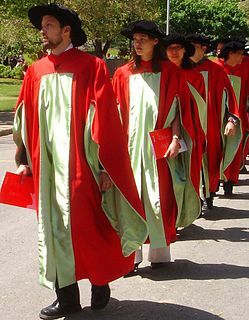 ↑ "Astronomy Alumni". Harvard University, Department of Astronomy. Retrieved August 7, 2014. ↑ Joyce, Maureen (December 9, 1979). "Dr. Cecilia H. Payne-Gaposchkin Dies". The Washington Post. Retrieved September 10, 2016. ↑ "Cecilia Helena Payne-Gaposchkin". HowStuffWorks . April 23, 2009. Retrieved September 10, 2016. ↑ Mack, Pamela E. (1990). "Straying from Their Orbits: Women in Astronomy in America". In Kass-Simon, Gabriele; Farnes, Patricia. Women of science: righting the record. Bloomington: Indiana University Press. pp. 105–107. 1 2 Hirshberg, C. (April 18, 2002). "My Mother, the Scientist". Popular Science . Retrieved August 8, 2014. ↑ Ottaviani, J.; Myrick, L. (2011). Feynman. First Second. ISBN 978-1-59643-259-8. ↑ Feynman, R. P.; Sykes, C. (1995). No Ordinary Genius: The Illustrated Richard Feynman (Reprint ed.). W. W. Norton & Co. ISBN 978-0-393-31393-2. ↑ Payne-Gaposchkin, C. (1977). "Henry Norris Russell Prize Lecture of the American Astronomical Society – Fifty years of novae". The Astronomical Journal . 82 (9): 665. Bibcode:1977AJ.....82..665P. doi:10.1086/112105. ↑ Laidler, K. J. (2002). Energy and the Unexpected. Oxford University Press. p. 109. ISBN 978-0-19-852516-5. Since she actually got better marks in the prayerless group she became, and remained, a devout agnostic. ↑ Ogilvie, M.; Harvey, J., eds. (2000). The Biographical Dictionary of Women in Science. Routledge. ISBN 978-0-415-92038-4. ↑ "Humfry Payne | British archaeologist". Encyclopædia Britannica. Retrieved September 10, 2016. ↑ Gingerich, O. "Cecilia Payne-Gaposchkin: Astronomer and Astrophysicist". Notable American Unitarians. Harvard Square Library. Archived from the original on December 17, 2013. A September 1956 article in The Christian Register published by the American Unitarian Association, announced her appointment and described her as a member of the denomination's First Parish and Church in Lexington, Massachusetts. ↑ Vetter, H. F. (2003). "Cecelia Payne-Gaposchkin: Astronomer and pioneer". UU World . ↑ "Rittenhouse Medal Awards". Rittenhouse Astronomical Society. 2010. Retrieved October 10, 2012. ↑ "Cecilia Payne-Gaposchkin Doctoral Dissertation Award in Astrophysics: Foundation supports re-named astrophysics dissertation honor". American Physical Society. Retrieved 15 December 2018. ↑ "(2039) Payne-Gaposchkin = 1974 CA". IAU Minor Planet Center. Retrieved September 10, 2016. Gingerich, O. (1982). "Cecilia Payne-Gaposchkin". Quarterly Journal of the Royal Astronomical Society . 23: 450. Bibcode:1982QJRAS..23..450G. Öpik, E. (1979). "Obituary – Cecilia Payne-Gaposchkin". Irish Astronomical Journal . 14: 69. Bibcode:1979IrAJ...14R..69O. Smith, E. V. P. (1980). "Cecilia Payne-Gaposchkin". Physics Today . 33 (6): 64–65. Bibcode:1980PhT....33f..64S. doi:10.1063/1.2914128. Vetter, H. F. (2003). "Cecelia Payne-Gaposchkin: Astronomer and pioneer". UU World . Wikimedia Commons has media related to Cecilia Payne-Gaposchkin .